Luminext On Demand is the ultimate way to customise lighting. The immediate surroundings will only be lit when needed, for people to feel safe and for good visibility. By dimming the luminaires as soon as there is nobody there, you save energy and you reduce light nuisance for local residents and nature. Provide more light as soon as someone is around. To make them feel safe and comfortable outdoors. Less illumination results in less energy consumption and less CO2 emissions. A sustainable decision. By dimming the streetlights people are less annoyed by extra light in their houses. We can all sleep better. With On Demand lighting you save as much energy as possible and minimize light nuisance for local residents and nature. The streetlights are dimmed as long as possible. 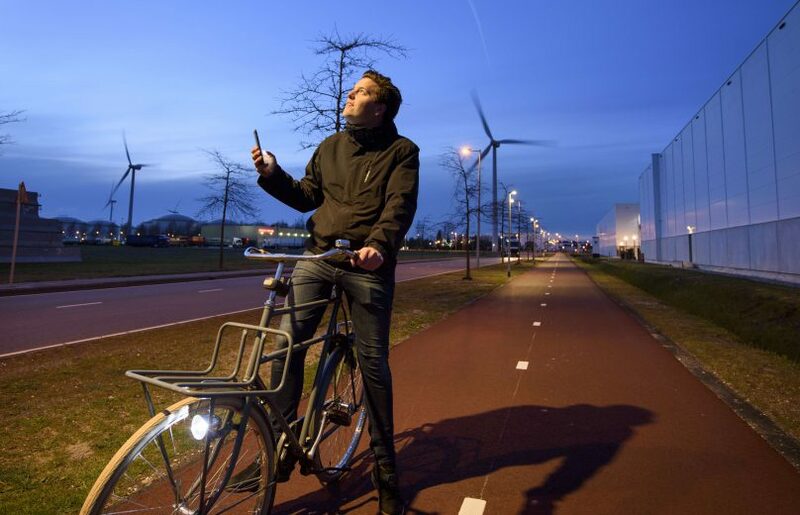 Only when the movement sensor on the lightpost detects the road user, the light level rises. As soon as the road is empty again, the light dims automatically. Switch on the On Demand lighting is also possible by using the smart phone app. Did you activate the app and are you coming close to the lamppost, the light level goes up automatically. A third option is to activate the lights with a button or a text message. 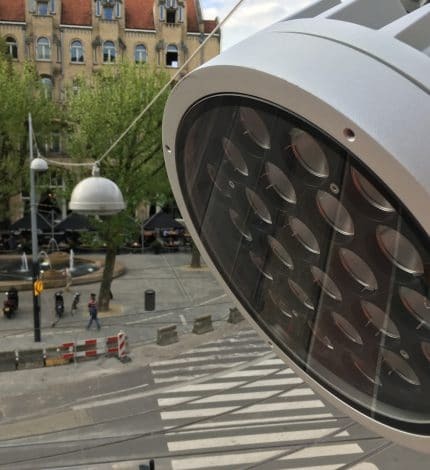 "With a simple push of a button the square is brightly lit, for extra safety in the city."